Do you have nosy neighbors? Or maybe a beautiful view of the brick building two feet away? 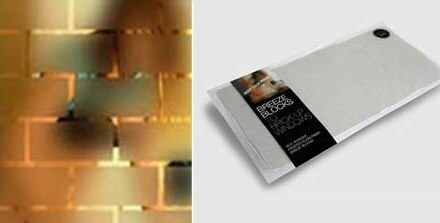 These Breeze Blocks are a hip way to disguise the not-so-stylish view you might have from your window. These blocks are adhesive and fifteen come in a pack. Instead of on a window, could this be cool decor for a mirror or maybe a shower glass door? The possibilities are endless. I bought the Life.doc a couple of months ago at Target. I was immediately drawn to it because it was on sale, but also because I have a love for organization. It may be morbid but at times I think of the “What ifs” in life and how I would react when emergencies, deaths, etc. come up. 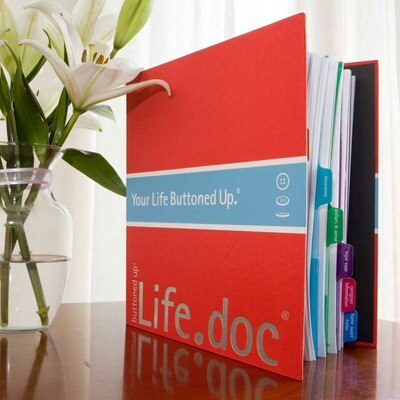 This product by Buttoned Up is one of many products that they provide, that help you keep your life organized in different situations. I am trying to get a more paperless office, so if I would have researched my purchase a bit more, I probably would not have gotten this. There is a disk that comes with the binder that allows you to open the pages in Microsoft Word and type out your information. If you do not have Microsoft Word, then you’re out of luck. Writing things down on paper in a binder seems a bit archaic because this type of information will eventually change. One would need to use a pencil to be able to alter your info in years to come. Not the polished look I was going for. Nonetheless, this product provides many pages to guide you through the process of writing down critical information that is nice to have all in one location. If you’re a paper kind of person and like things written down instead of on your computer, this is the product for you. I absolutely love office supplies. That is probably why I am so drawn to the store, See Jane Work. They have tons of super cute office supplies and fun gifts for the working woman. This particular item really caught my eye. 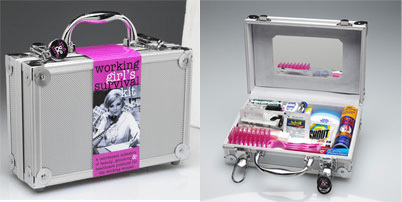 It is the Working Girl’s Survival Kit. Packed full of all of the essentials that you would need in case an emergency came up at work. For just $40, it would be a perfect gift for someone who just started a new job! Like the See Jane Work website? You can now check out their new flagship store. 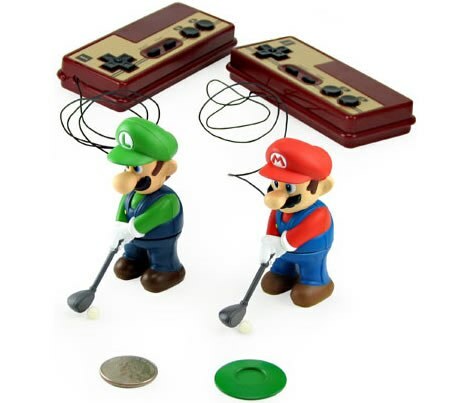 For those days at the office when you really do not want to work, try Golfing Mario & Luigi style. This would be a great gift for Christmas because its a great price and definitely fun! Kyouei Designs is brilliant. This Balloon Lamp packet comes with a balloon, two lithium coin batteries and a clear LED bulb that can last up to 100 hours. 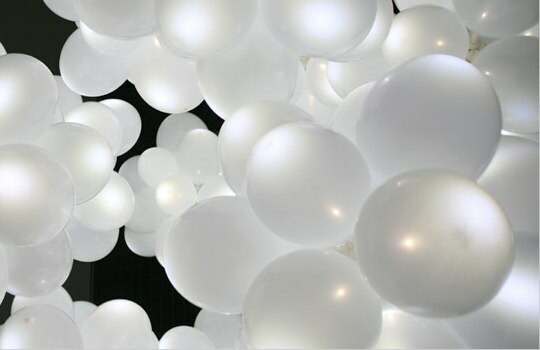 At $30 bucks a pop, it would be a bit expensive to get the clustered look. By itself, not so impressive, but pretty cool with multiple balloons. Very sleek and simple, but I like it! 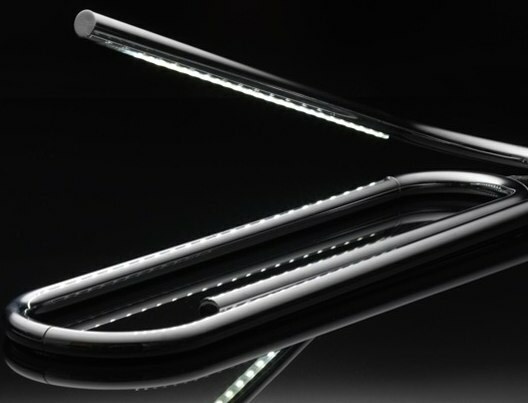 This Paperclip Lamp is shaped like a rather large paperclip and has a series of lights on the underneath. Maybe not the most practical thing, but hey, its art!